Usher in Helena’s longest and greatest holiday tradition with Handel’s Messiah, the HSO&C, four acclaimed soloists, all in the profoundly reflective Cathedral of St. Helena. Experience why Handel’s Messiah remains the most popular work of all time. This performance will sell out quickly! Subscribers receive preferred seating choices. The guest artists are sponsored in part by generous support from Constance & Ronald Bergum. We recently moved to the Helena area, so excited I was able to get tickets for Christmas in the Cathedral!! I would love to experience a better Christmas concert than last years program! 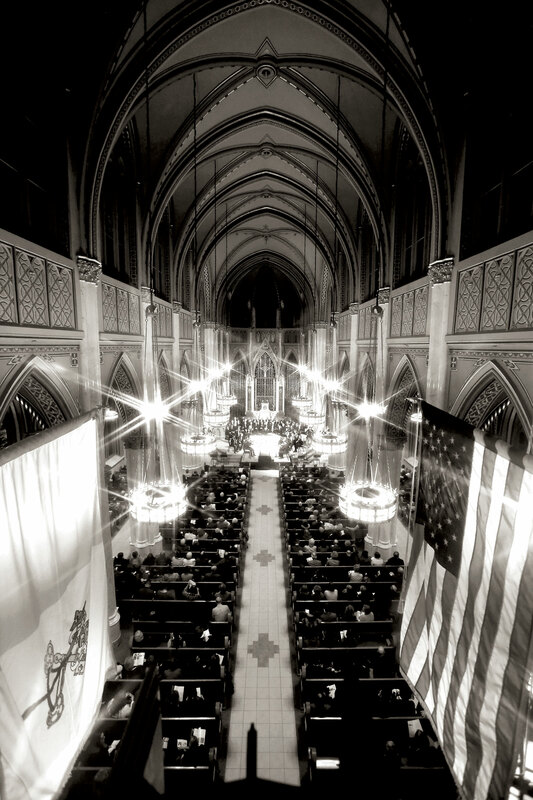 The sacred space of the Cathedral requires us to perform music that is deemed appropriate for that space (meaning secular holiday music is not really permissible), so we generally try to focus on works that work well in that space. Also the “performance space” in the Cathedral has a weight restriction which limits us performing works that use the full orchestra.